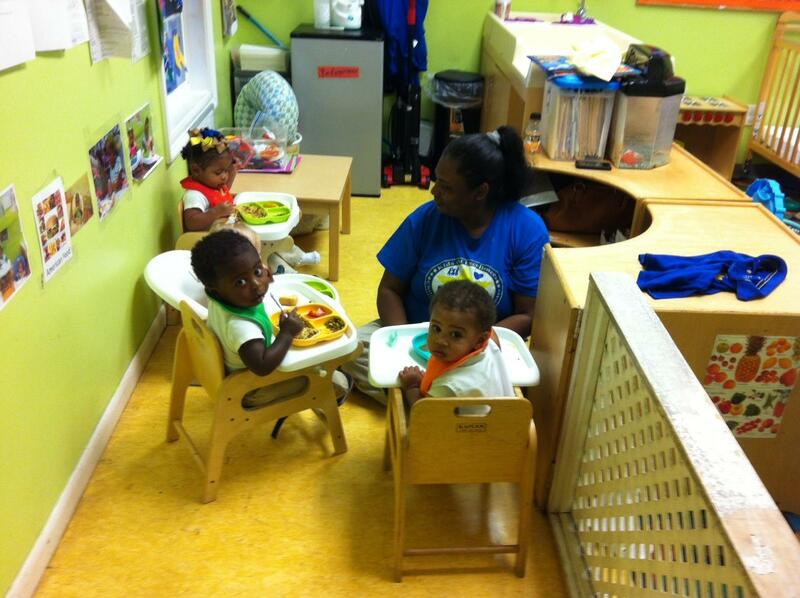 The babies at New Orleans' Kids of Excellence child care center sit down for meal time. As the stakes grow higher for standardized tests, so too does the desire to test more students — including younger and younger ones. WWNO wraps up its series "Behind the Test." 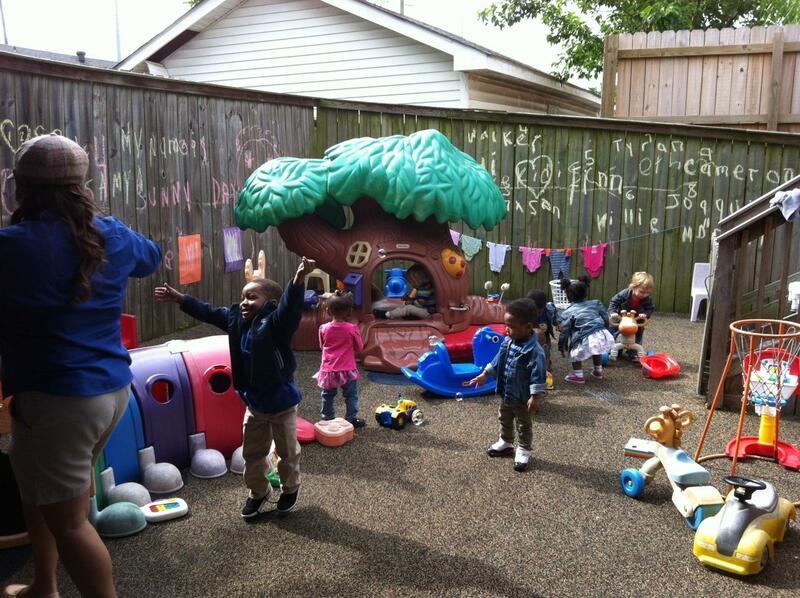 The three-year-olds at Kids of Excellence child care center learn largely through play. Kristi Givens, the center’s director, tries to make sure they are ready for big school by the time they leave. Louisiana officials are paying more attention these days to what even the youngest children are learning — or not learning — as the case might be. Starting next year, all publicly-funded child care, Head Start, and pre-k programs in the state will have to test their kids. Even the infants. Most New Orleans programs are already piloting the new tests. That doesn’t mean one-year-olds will be sitting down at a desk with bubble sheets and number two pencils. At least not yet. For the littlest learners, Kerns says, testing really means careful observation to make sure they are reaching developmental milestones, like being able to hold a crayon, retell a story, or respond to emotional cues. State officials are still hashing out the details of who will do the testing and how the results will be used. But they know those results will come with consequences. Any program that serves children under the age of five and receives public funding will get a letter grade. Programs that get bad grades for too long will lose their funding. “The state’s been really clear they do not want to be funding low-quality programs,” said Kerns. Most states are starting to rate the quality of early childhood programs. They have a few different goals: One is to make sure as many students as possible are ready for kindergarten. Another is to force the weakest operators out of business. Louisiana is unusual, though, in requiring publicly-funded programs to participate. It's also unusual to base school letter grades at least partly on student outcomes. 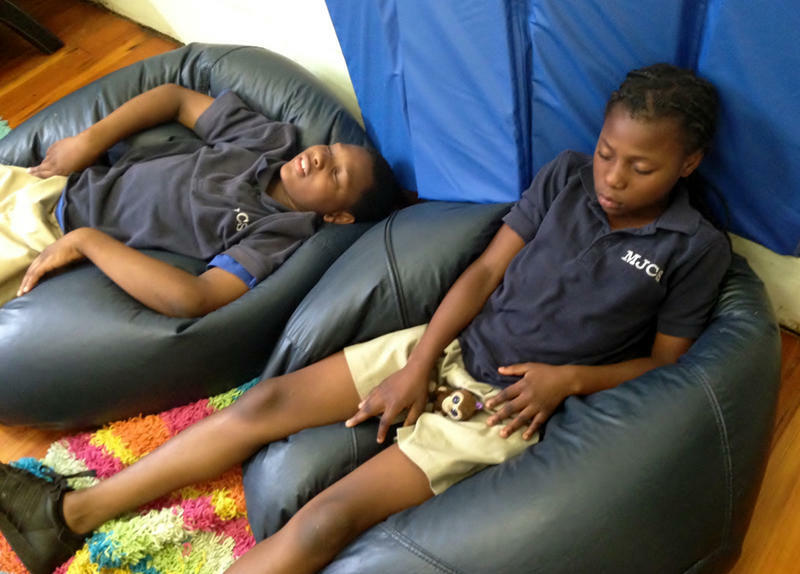 Children at New Orleans' Kids of Excellence child care center learn academic skills largely through play. The state faces some pretty big challenges in creating an accountability program. The first is figuring out exactly how this “testing” is going to work. “You cannot go in as an outsider to a classroom, pull a three-year-old out of the classroom as a stranger and think that you are going to be able to test, if you will, the child,” said Kerns. That’s why most experts agree that teachers are the ones who should be assessing the youngsters, regularly documenting their progress through notes and photographs. The tool the state has selected, known as Teaching Strategies Gold, calls for ongoing observation in key areas, including literacy, math and physical skills. Experienced educators like Givens use every conversation to determine what children know, and where they need help. During one recent exchange, for instance, Givens learned that Emory knew the colors blue and green, but not brown, which he mistook for grey. “This is how we assess kids, having that conversation, talking to them asking them questions, not sitting them down and saying, ‘Tell me what color this is,’” she said. There’s another wrinkle that adds to the complexity of this whole endeavor. If teachers do the observational testing, which makes the most sense, there’s a conflict of interest: They will have an incentive to show their kids are making progress since their jobs might depend on it. So part of a program’s letter grade might be based on independent monitoring of whether teachers are doing the evaluations right. Sort of like testing the testers. “My hope is what we would be looking at is, Is the teacher using the tool and using it with reliability?” said Kerns. In some cases, that will mean asking teachers who are already underpaid and undertrained to do even more. Teachers at Head Start and school-based pre-kindergarten programs often earn competitive salaries. But at many of the city’s independent child care centers, they earn between $10 and $13 — if that — and benefits are rare. Despite all these challenges, Kerns and others say they are happy the state is focusing more on the early years. And center leaders say they hope it will lead to increased professionalism — not to mention better pay — throughout the industry. “People are beginning to understand what you’ve known for a long time, that ‘Oh my goodness, these early years are the most important years,’” said Kerns. What pre-K testing means for the children themselves remains to be seen. Looked at one way, kids are becoming data points almost from birth, subjected to an endless battery of tests through high school graduation. But data can also be a valuable tool. When a child starts elementary school, imagine if the kindergarten teacher already has a file on students’ learning and better knows what they need. As testing continues to expand, it’s keeping an eye on the child behind the data that will make the difference. This story was done in partnership with the Hechinger Report, a nonprofit nonpartisan education news service at Columbia University. Mallory Falk provided technical production. Support for education reporting on WWNO comes from Baptist Community Ministries, Entergy and the John S. and James L. Knight Foundation. 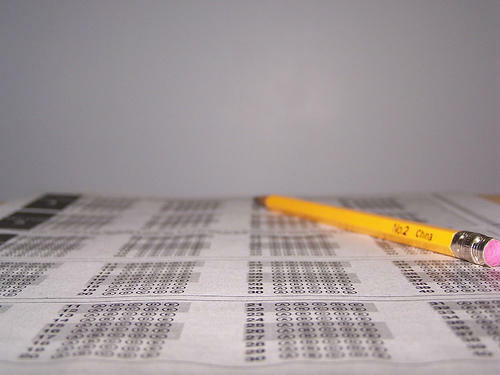 WWNO continues its series "Behind the Test" with a look at standardized testing through the lens of test anxiety. In the weeks leading up to the LEAP test, teachers do a lot to prepare students: drilling them on crucial skills, giving out practice tests, even holding pep rallies to boost confidence. 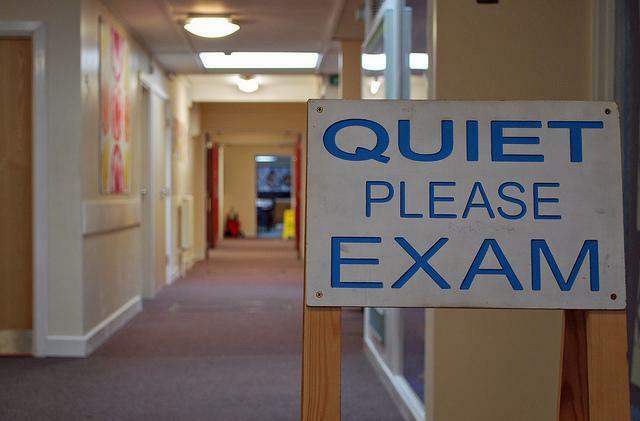 But what about preparing students to cope with test-related anxiety? Brittany Healy is leading a small group of fifth graders in a guided imagery activity. They’re sprawled out on a couch and sunken into bean bag chairs. Eyes shut, arms loose at their sides. WWNO continues its series “Behind the Test” with a look at test security. The paper booklets, and students’ answers inside, can determine things like teacher pay or the very existence of a school. It takes a lot of effort — and people — to keep the testing materials secure through delivery, administering the test, turning them in and then scoring. The booklets and answer sheets for Louisiana’s LEAP tests come from a company called Data Recognition Corporation in Minnesota. When the Recovery School District's tests arrive they go straight to a warehouse. School is winding up for the year, and students have the state LEAP test behind them. That’s the Louisiana Educational Assessment Program, the standardized test used to measure students’ skills — and, increasingly, to size up teachers and schools as a whole. This week, as schools await their results, WWNO explores the world of LEAP beyond the test itself, in our "Behind The Test" series. We look behind-the-scenes at test security, emotions around testing, and the growing influence of tests.